It’s not that everyone I meet asks the question – I just seem to come across random accounts of people who felt so strongly about something they had said, done, thought, that they went and killed themselves. Take a recent trip to Copenhagen. 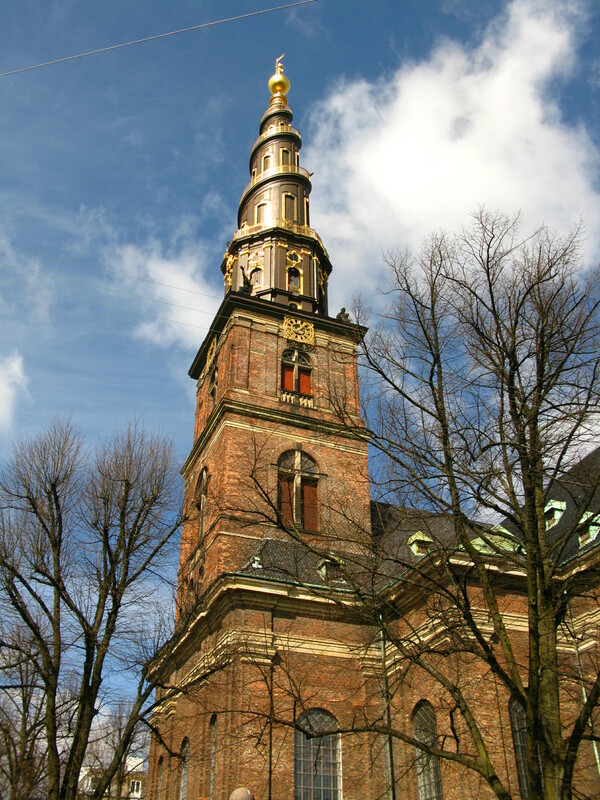 I happened across the Vor Frelsers Kirke (Church of Our Saviour) and was particularly taken with the corkscrew spire. I thought no more of it until someone mentioned that it had been immortalised by Jules Verne in his novel A journey to the Centre of the Earth where, in an effort to cure his acrophobia (fear of heights) Axel’s uncle makes him climb the winding spire for five consecutive days. The spire is 90 metres tall and the external staircase turns four times around it, anticlockwise. Quite an impressive sight. You can climb 400 steps to get to the top, the last 150 of which are outside, if you were so inclined. Certainly not a trip for anyone with acrophobia. Depending on your point of view, the tower, added some 50 years after the original church was built along the design of the rather solemn architect, Lambert van Haven, either adds or detracts from the body of the CHurch itself. 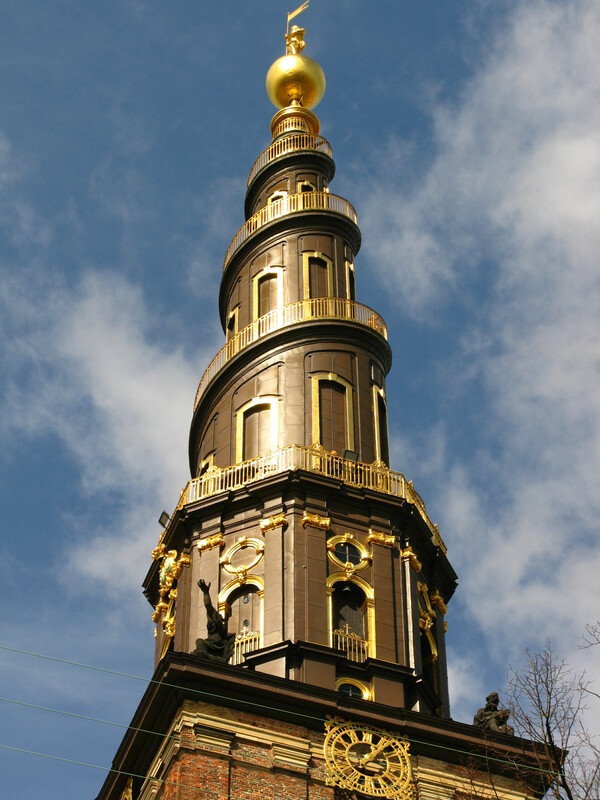 The new, self-taught architect, Lauritz de Thurah, added the spire under the auspices of Frederik V.
Now, urban legend (at least the one I heard) says that de Thurah was so upset that he designed the staircase anticlockwise instead of clockwise, he threw himself from the top of the tower. Imagine being that attached to your work, identifying so much with what people think of what you do is more important to you than life itself – amazing. When I checked it out though, it all came to nothing as he didn’t die until seven years after the spire was built and it wasn’t from falling from a great height. So much for that passion! But, on reading more about this church, I discovered that inside this beautiful tower hides a carillon – and yes, being musically illerate, I had to look that one up. It’s a musical instrument consisting of at least 23 bells that are played serially to create a melody or together to make chord. You play it by striking the batons (keys) on a keyboard with your fists (musical boxing?) and by pressing the keys of a pedalboard with your feet. The keys then activate levers and wires that connect to metal clappers that strike the bells, allowing you – the carillonneur – to vary the intensity of the note according to the force you apply. Now that’s passion! and could be a passion for someone… but not me. https://unpackingmybottomdrawer.com/wp-content/uploads/2017/06/logo-300x82.png 0 0 Mary Murphy https://unpackingmybottomdrawer.com/wp-content/uploads/2017/06/logo-300x82.png Mary Murphy2011-04-19 14:04:472016-08-10 11:43:42Worth dying for?